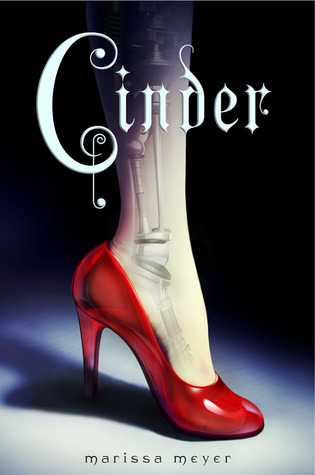 Cinder is a cyborg living in New Shanghai in the days following World War IV. There's a plague sweeping the world and an alien race known as the Lunars who are threatening the peace forged after the war. Cinder, however, is just a humble mechanic working to support her step-mother and two step-sisters. She's not involved in the larger political turmoil - or so she thinks. A chance encounter with the heir to the empire, Prince Kai, sets Cinder on a path that she never expected. Meh. I hate to say so, but I was unimpressed with the writing. 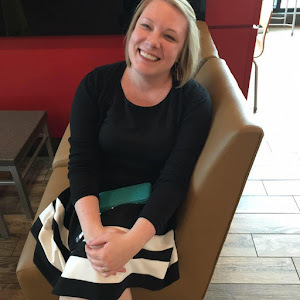 The author seemed to fall into the trap of telling the reader instead of showing the reader. I felt like all of the parallels to the Cinderella story that Cinder is based on were just so explicitly pointed out that it took away from the story. An example from the beginning of the book is a character who points out an old car by saying it looks like a pumpkin. Hmmmm...wonder what Cinder will be driving to ball later? The foreshadowing is SO obvious and over the top that there aren't any surprises. I'm usually fairly oblivious, but I guessed the surprise twist within the first couple of chapters. Again, this one got a big time meh. I've passed it on to Bestie to see what she thinks, but I was also unimpressed with the entertainment value. Like I mentioned above the foreshadowing was so heavy that it was distracting from the story. It also took about 300 pages for the book to feel like it really got started. The last 100 or so pages held my attention but it felt like such work getting there. WAY too much setting up the background and foreshadowing the future - I kept expecting things to pick up but it seemed like a large portion of the book involved Cinder travelling back and forth from the palace and having things very explicitly explained to her in a way that left no room for the reader to wonder what would happen next. I feel like I've had a hard time concentrating in general lately, so it's possible that this played a roll in my distraction as I was reading the book, but the pacing was definitely off, regardless of my ability to concentrate. It'll be interesting to see what Bestie thinks of it. I don't think it's worth the time. For a YA novel it's fairly long (the review copy I read was around 400 pages) and just not interesting enough to justify the time investment. I won't be reading future books in the series - by the time I started to care at all about the characters the book ended in a major cliff hanger. I hate feeling like an author has dragged the story out to make a series (sell more books) and that was the impression I got from this one.